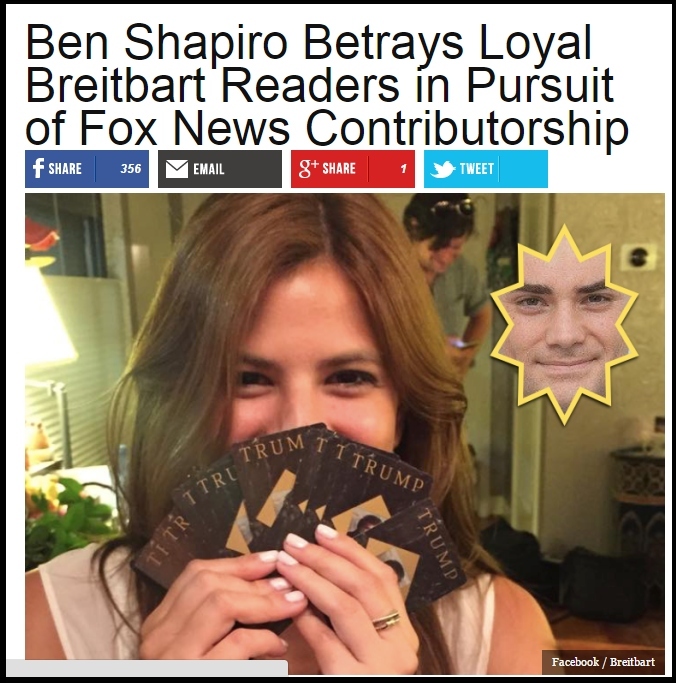 Last night Michelle Fields and Ben Shapiro announced that they were leaving Breitbart News, and today the site seems to have accidentally released an unbelievable article mocking the pair. How is it possible that they write such a story and accidentally release it? More Breitbart melt down, or planned distraction? I am seriously dumbfounded at this development.